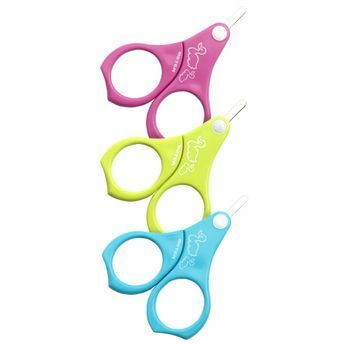 Baby scissors that are guaranteed to give your child a safe cutting experience, These scissors are ergonomically designed for baby's safety and are ideal for cutting their nails. It has large finger holes to hold the scissor precisely. Its rounded ends provide a safer, Meticulous cut. Its high-quality stainless steel blades are extra short and offer better control for a precise cut. This is special scissors for babies as it has a protective sheath for the blades. Additional Information: A leading international brand of beauty accessories based in Barcelona, Beter Beauty accessories offers the complete range of tools and cosmetics for manicure-pedicure, Makeup, Hair care and bath accessories. With innovative accessories and cosmetics adapted to different needs and market trends, The brand is an expert in elite beauty care essentials that will definitely be a part of your daily grooming routine and beauty rituals. Explore the entire range of Manicure & Pedicure Kits available on Nykaa. Shop more Beter Beauty Accessories products here.You can browse through the complete world of Beter Beauty Accessories Manicure & Pedicure Kits .